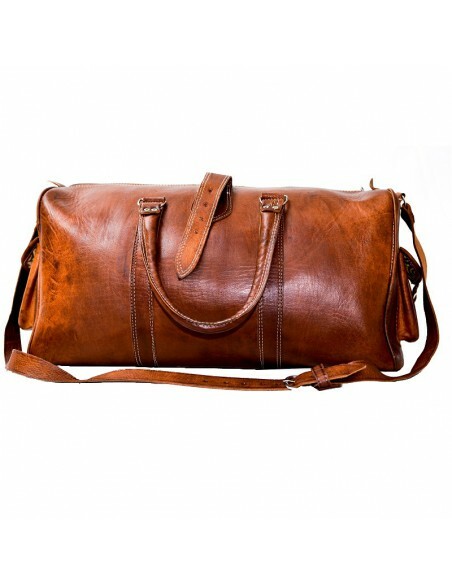 Camel leather travel bag, convenient for holidays or weekends, clean design a vintage look with contemporary features, travel bag 100% leather. 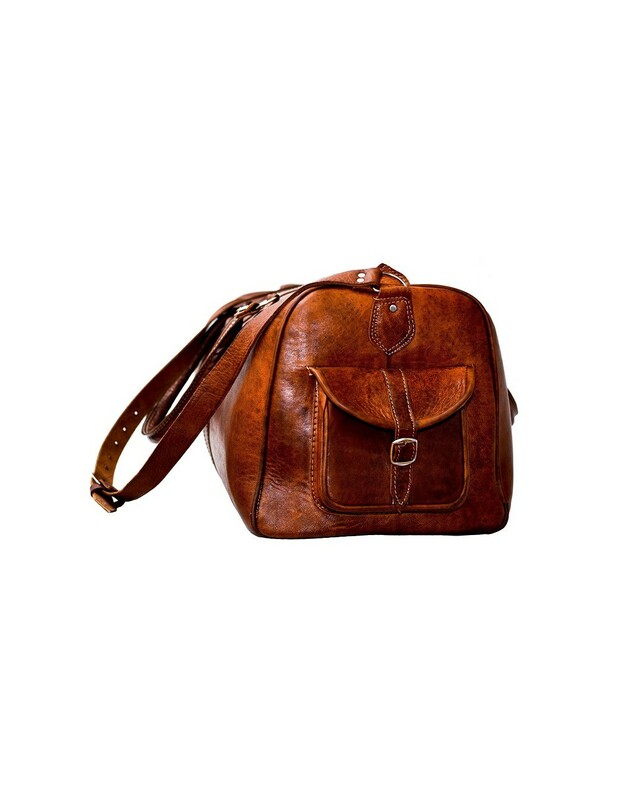 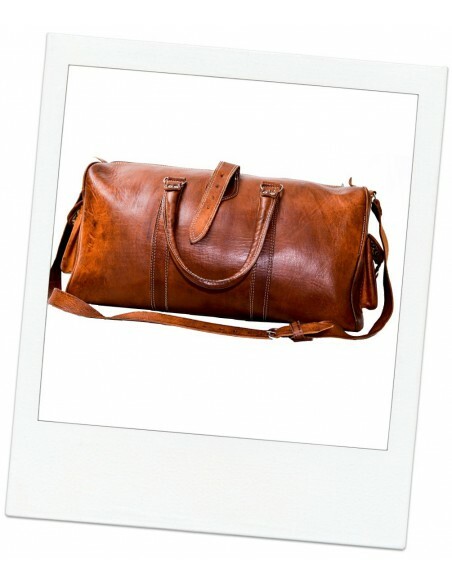 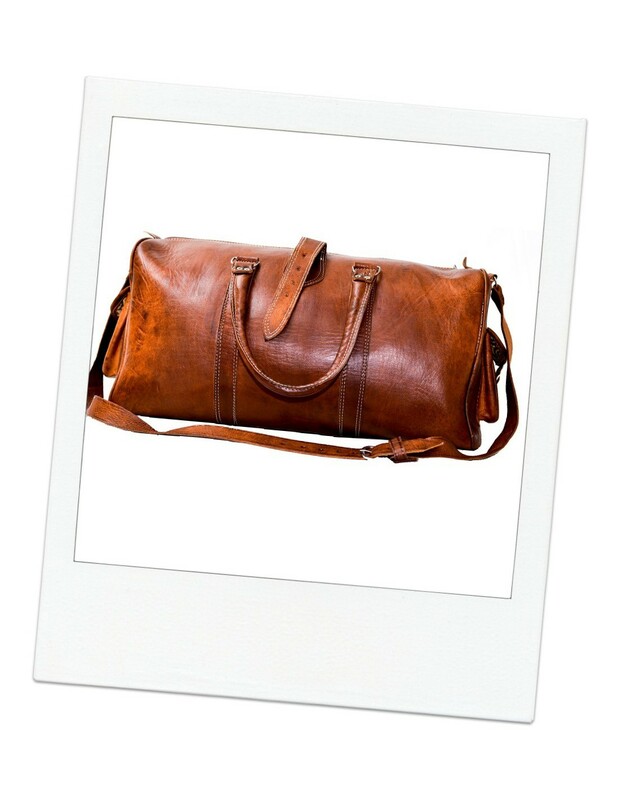 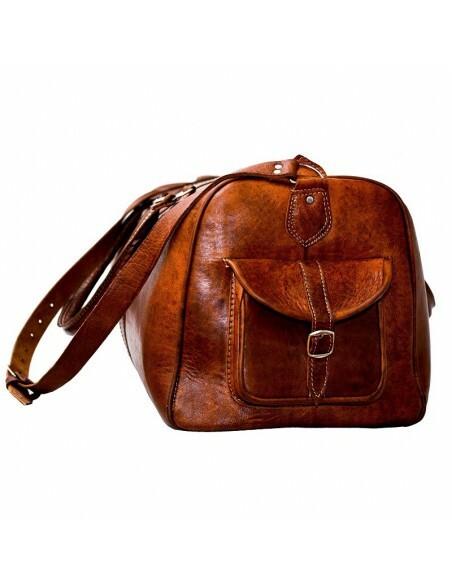 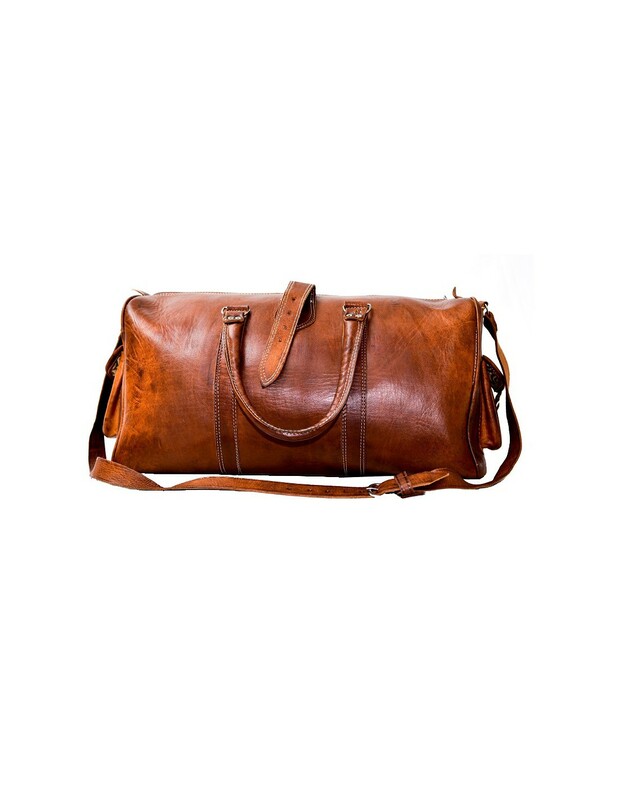 Camel leather travel bag has a shoulder strap, adjustable and removable leather reinforced. 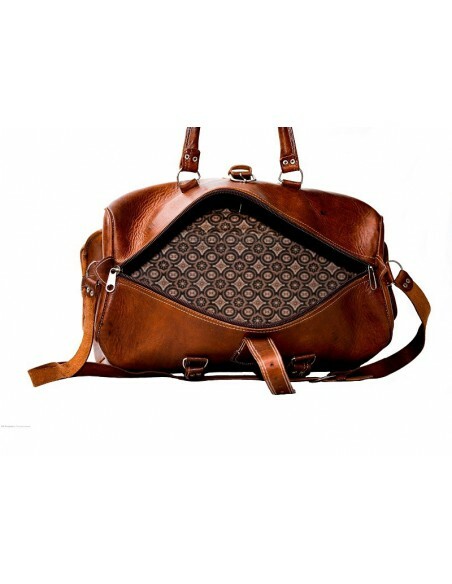 Which allow easy transport. 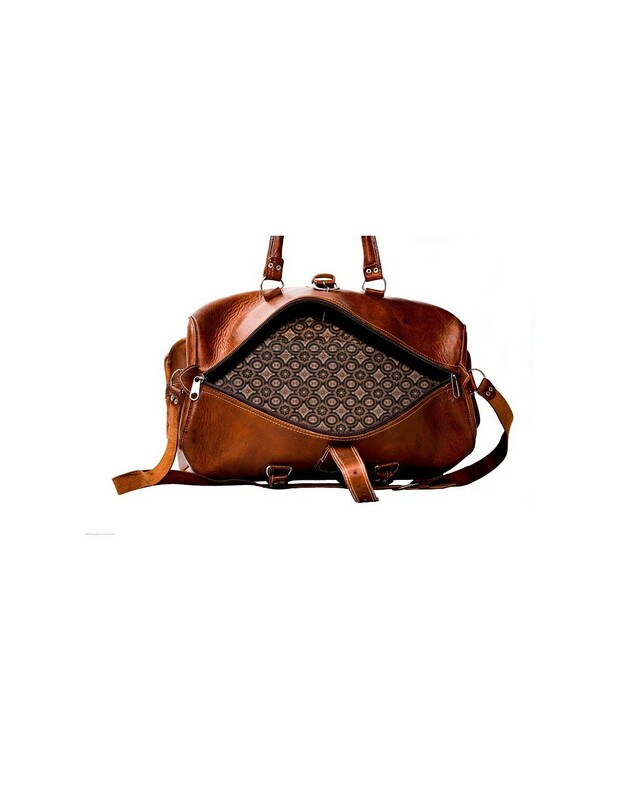 It is also equipped with a carrying handle reinforced leather.